Your 360 degree security solution. We’ve got your back. 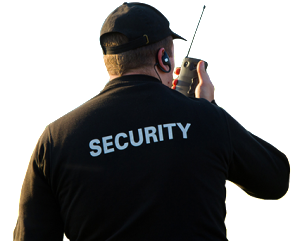 Here at Scimitar Security, we offer a variety of security services for different occasions, events, and properties. Our #1 goal is to decrease the amount of criminal and/or illegal activities in order to increase your overall ROI. This is especially true in retail, transportation, and manufacturing industries. Below, we have a list of different services that we offer. We don’t believe in a one size fits all solution, which is why we take the necessary time to really understand your needs as well as the level of security that you’ll need. Underpromising and overdelivering is our motto. We guarantee our services will do exactly what we promised. All of our officers are professionally certified and highly trained with experience and specialty in different security services. Read more below to find out which type best suits your needs. This is our most popular service. Many locations aren’t suitable for having an armed security guard present, for many different reasons. However, just having the presence of a uniformed security officer on your site has proven to dramatically reduce the rates of crime. The reason for this is mainly due to the psychological impact that a security guard has on a potential criminal. Time after time, it’s proven to reduce the risk of illegal activity. Getting quick help is also one of the main benefits of having security personnel present on your site. This service is ideal for residential, corporate, school and event site locations. Need to step it up a notch? Well, we understand. Sometimes an unarmed security guard won’t cut it, especially if the property that’s being protected is very valuable. Sound familiar? It’s not uncommon to see criminals take the risk in trying to engage security officers at locations where there is expensive assets. This could be something such as a loss prevention officer at a high end retail location. Each location is different, and depending on the danger level it could be most beneficial if the officer on site is armed. 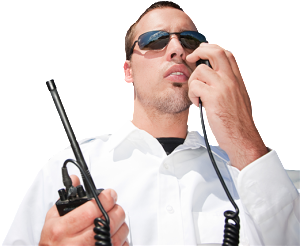 Have multiple residential properties and locations that need active patrol and monitoring? Say no more. We offer 24/7 patrols, which means we’re able to monitor your properties throughout the day and night. This is especially useful if there are large properties that have a lot of ground to cover. In cases where a security guard on foot won’t suffice, mobile security patrols are your best option. If you’re not sure about which security service you’ll need, contact us and we’ll provide you with a free on-site audit to make sure that you’re provided with the best possible service for your location type.